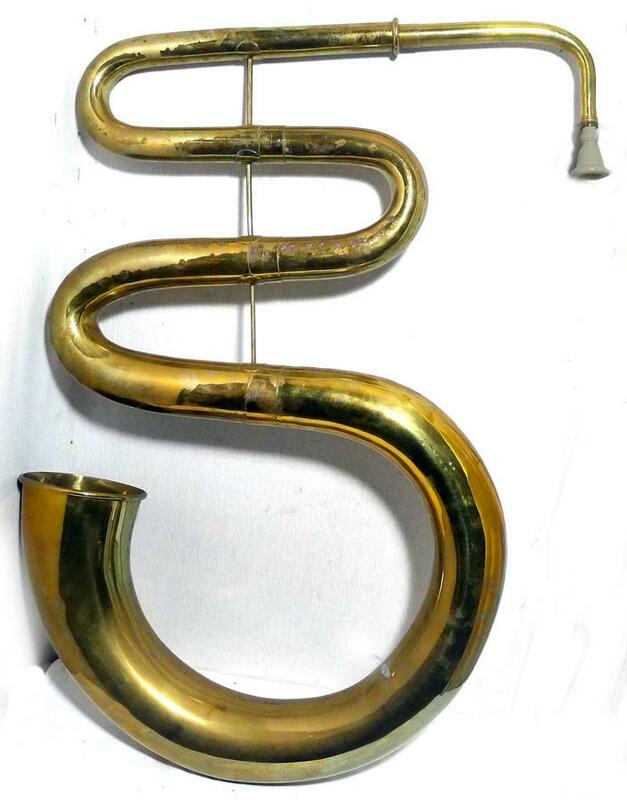 The Serpent is a bass wind instrument and an ancestor of the brass tuba. Usually made of wood and covered with leather. With six holes the early ones had no keys later ones with 3 keys and the later one many more (unnecessary) as was the fashion. 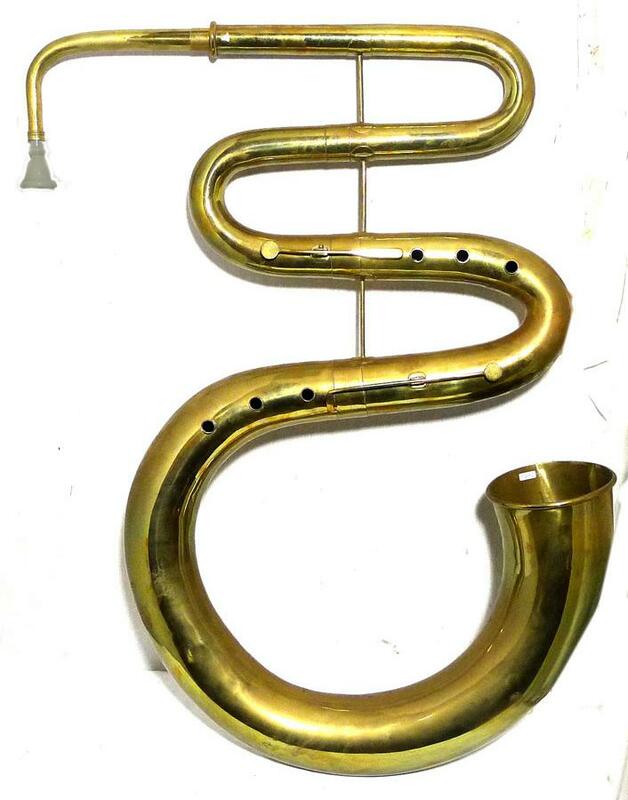 The first serpents were about 1590 in France designed to augument the bass sections of choirs. Later they were used in military bands and orchestras. By the 19th century they appeared in church bands. 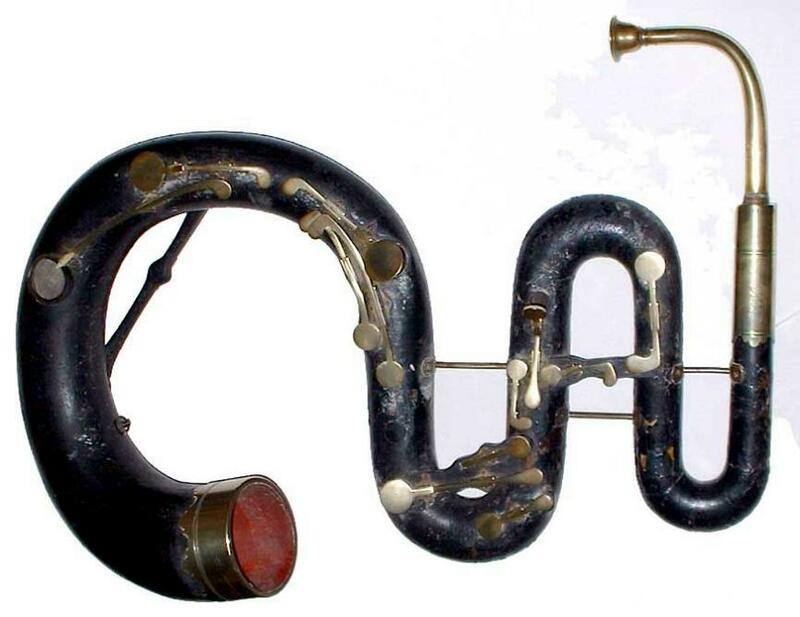 The ophicleide appeared in the 1820s and gradually made the serpent obsolete. Other related instruments include the cornett a small curved instrument and the anaconda a contra bass serpent. Serpent by Huggett circa 1840 14 keys. 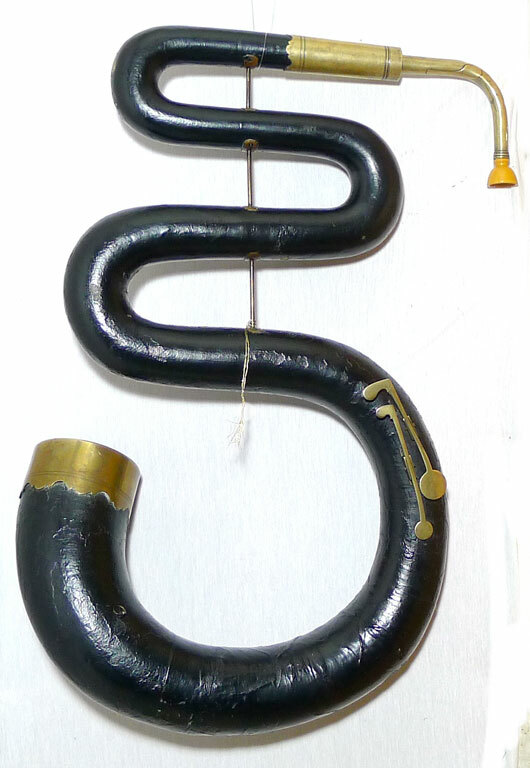 French Forveille serpent circa 1825. The serpent Forveille was introduced in 1823 by the Parisian maker Forveille. The instrument consists of three sections, a swan-shaped bocal, a "zagged middle" section of metal, and a J-shaped wooden bell-stock. Made by a variety of instruments makers other than Forveille, notably Darche, Klemmer, and Turlot. 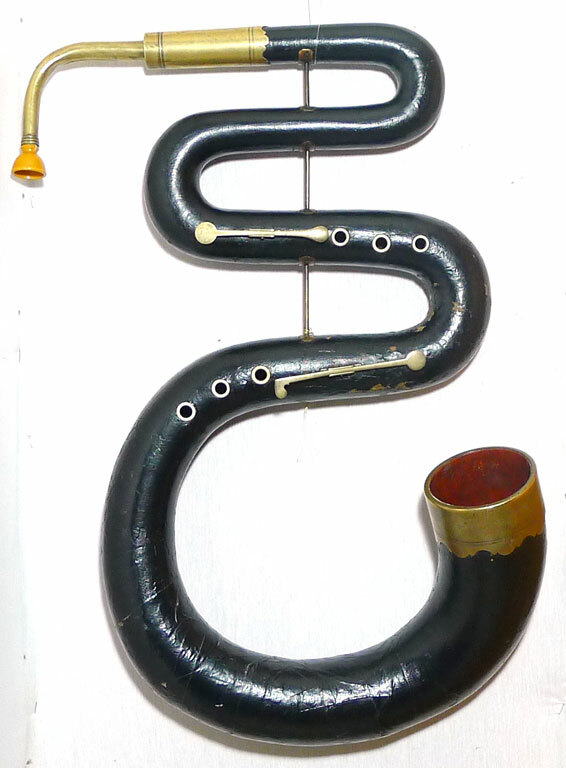 Russian bassoon or "basson Russe" upright serpent. Circa 1820. Not Russian or a bassoon. The main body sections as a large bore bassoon, the bell in brass mostly as a serpent/dragon but some as this one have a plain brass bell. Most were French. A rare brass serpent. Two keys. Probably made when serpents were becoming obsolete by the 1840s. Ophicleides were the bass instruments of the time.